We’d love your help. 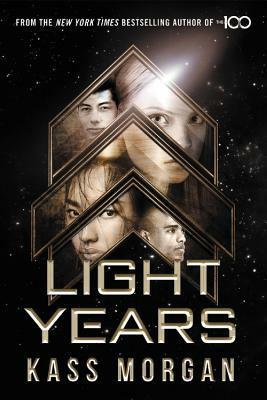 Let us know what’s wrong with this preview of Light Years by Kass Morgan. Hotshot pilot Vesper, an ambitious Tridian citizen, dreams of becoming a captain - but when she loses her spot to a brilliant, wisecracking boy from the wrong side of the asteroid belt, it makes he Reeling from the latest attack by a mysterious enemy, the Quatra Fleet Academy is finally admitting students from every planet in the solar system after centuries of exclusivity. To ask other readers questions about Light Years, please sign up.